Brenda sent me this photo a couple of months ago, and I forgot to post it. Notice the information is repeated on an additional sign in the background on the left. 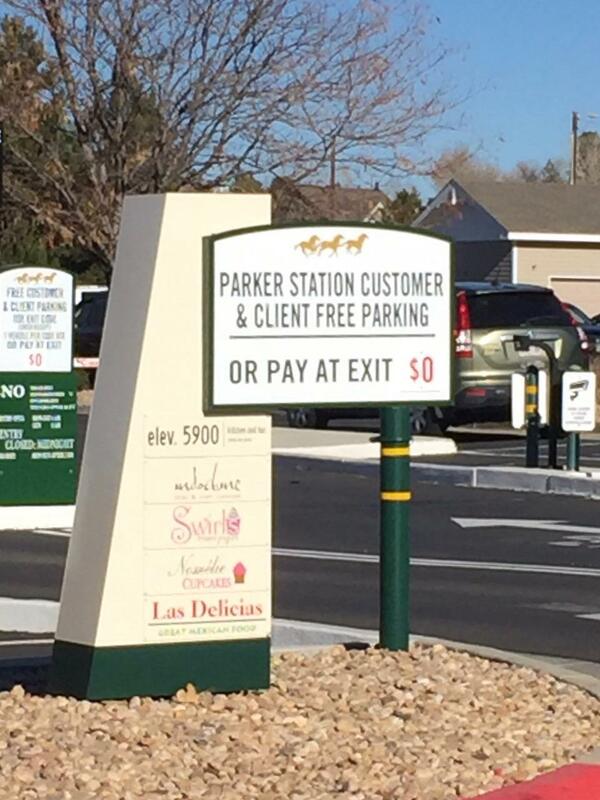 Obviously, they want their customers to know that FREE is free. I love it when I see "$0" - sometimes I wonder if people are incredibly confused by it. AND costs zero dollars!!!! It's a bargain at any price. I am with you...huh? Love this one! Love it! 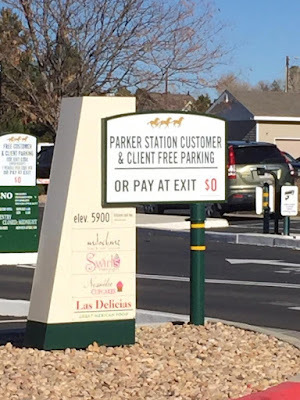 But you have to wonder just how much those TWO signs saying it was zero cost parking cost them! Ha ha! That is actually pretty funny! Those fancy signs definitely show someone has a sense of humor. Awww. I am such a fan if free parking!!!!! Chicago is so difficult with parking. I like the free, free parking! I hope they had tongue in cheek, too!